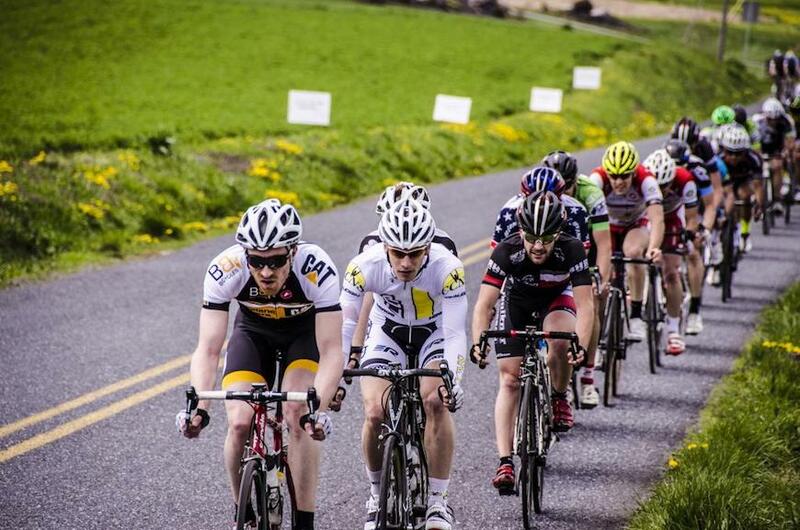 Each spring the Turkey Hill Country Classic Road Race draws the region’s best racers to Lancaster County, PA to compete on a beautiful 60 mile rolling course that includes multiple trips up the infamous Gamber Wall. The CCAP Pro-Am and Junior Travel Teams left their home in CT early in the morning in anticipation of a great race. The CCAP team started the race off with a bang, utilizing their incredibly stiff Raleigh Militis 3's on the course's punchy terrain. Attack after attack was launched by the CCAP until the second of nine laps when John Harris was able to make a breakaway group stick. Harris and his 5 breakaway companions rode mercilessly, quickly driving the gap up to over one minute on the field. Many counter attacks came from the restless main field in attempts to bridge the gap, but nothing was able to make a true impression. With four laps to go, the race’s heavy hitters decided to change that. In the closing laps the pace got faster and faster, dwindling the main field down to 30 of the 100 starters. As unfortunate luck should have it, a crash in a different category race forced a neutralization of the Pro/1/2 race with seven miles to the finish. Upon a long-delayed and difficult restart, the CCAP riders maintained their position for top 20 finishes.